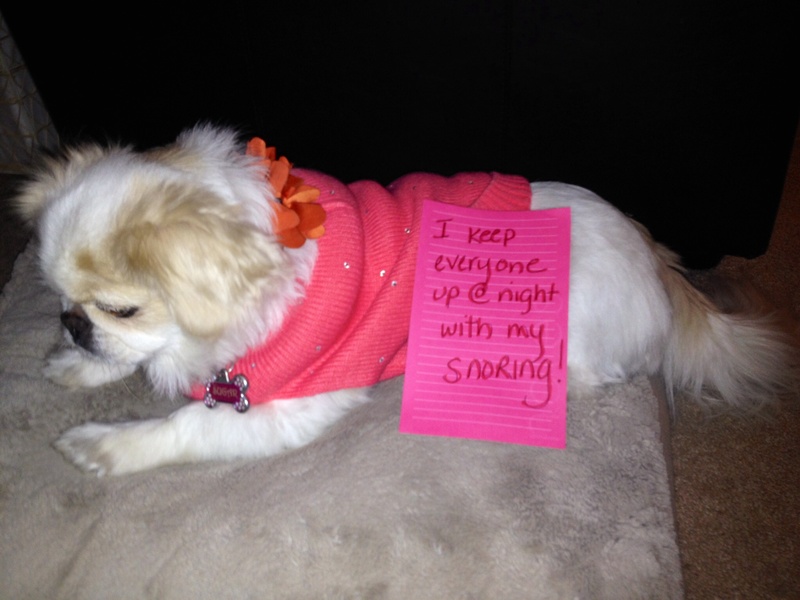 Peking’need a Better Behaved Dog! Posted September 14th, 2018 by dogkeeper & filed under Best Friend Betrayal, Submitted. Posted January 3rd, 2018 by dogkeeper & filed under Disgusting Doggies, Submitted. My mommy lets me run around really early every morning (5:30am) so I can get my energy out. Today, I met a new friend that is black and white. It sprayed me and then I decided it was time to go back to my apartment. 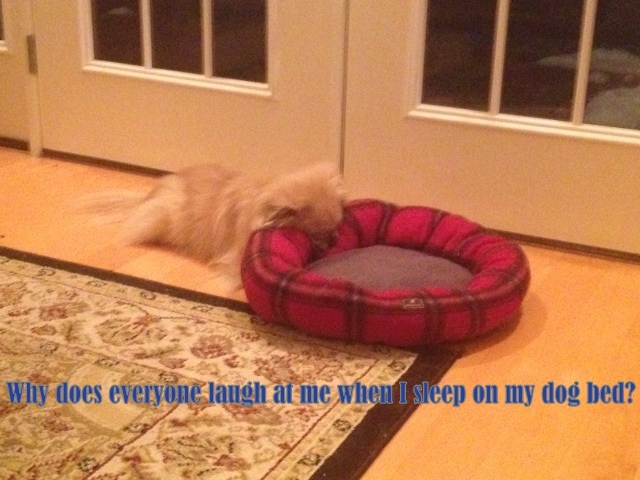 My mommy knew what happened by the smell, but I rolled around in her bed anyway. My mommy locked me up in my crate and put me outside. By 8:30, my mommy has visited Walmart twice for supplies to get the smell out of our apartment. Am I ashamed? No, but I would like to go back in. She says no. 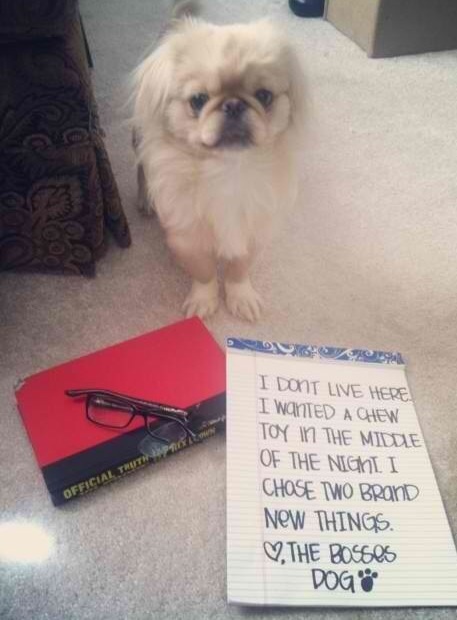 He ate $180 pair of glasses and a book not a week old. 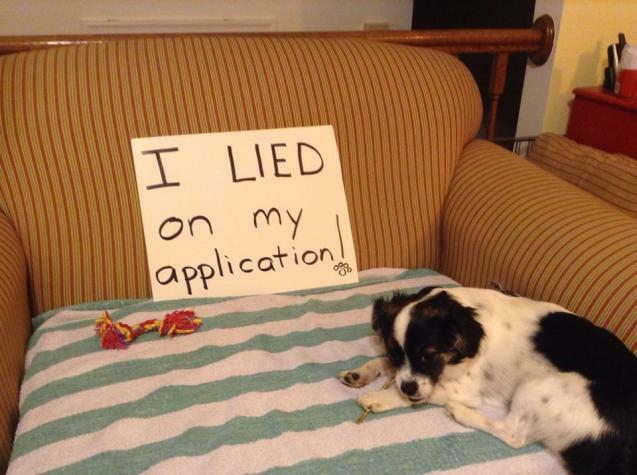 I lied on my DNA application! Posted October 11th, 2014 by & filed under Best Friend Betrayal, Submitted. Four months ago we rescued a “border collie mix.” DNA came in yesterday. She’s 50% miniature poodle, 25% Pekingese, and 25% other varieties, NONE OF WHICH ARE A BORDER COLLIE! She’s a MINIATRUE PEKINOODLE! Posted June 21st, 2014 by & filed under Best Friend Betrayal, Submitted. It’s ok if I snore all night, cuz I’m so cute! Posted February 22nd, 2013 by & filed under Adoptable Fridays, Submitted. This is JJ and he’s looking for his retirement home! He a 12 years young Pekingese (although some say he looks more like a Tibetan Spaniel) and is available for adoption through Broken Tail Rescue in Worcester, MA. He’s a pretty laid back little guy that likes his belly rubbed. When JJ was surrendered to Broken Tail Rescue, he appeared to be blind in one eye, and there was a prior vet’s recommendation to remove that eye. Since he’s been in his foster home, its been discovered that he needs thyroid medication (very invexpensive), and he seemed to regain some vision in that eye! Even though JJ is partially blind in one eye, and his hearing is not 100% anymore, nothing stops him! Since he’s a “mature” dog, you won’t have to worry about him tearing up your home or having accidents everywhere, but he’s young enough that he loves to go for car rides and for walks with his foster family! JJ gets along great with their other dog and their cat. He don’t like being excessively handled, so a home with adults is really his alley. What he really wants is a forever retirement home that doesn’t see his shortcomings as flaws and promises to rub behind his ears every day! To see more pictures of JJ and access his adoption application, please click here. 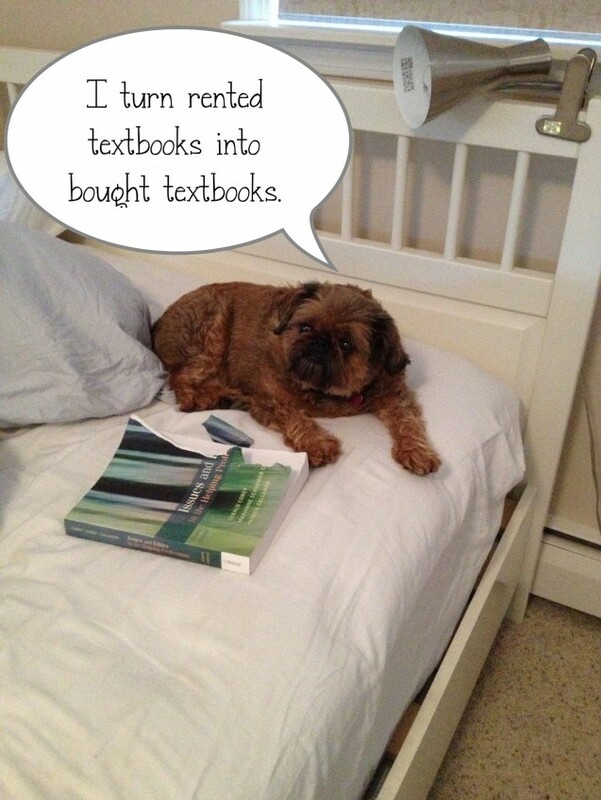 Posted January 21st, 2013 by & filed under Pilfering Pooches, Reading Rover, Submitted. I turn rented textbooks into bought textbooks. 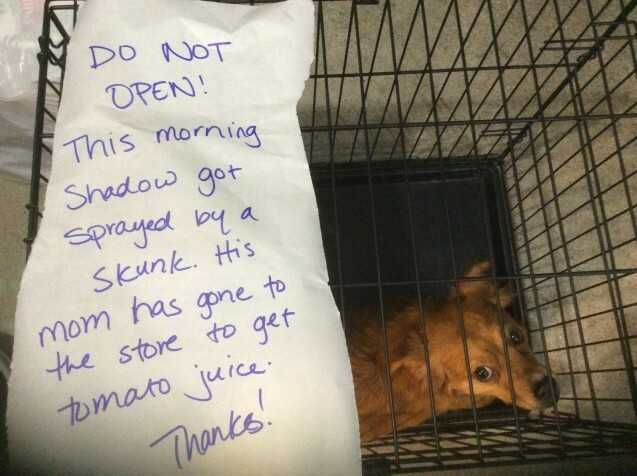 Posted December 15th, 2012 by & filed under Double Trouble, Holiday Hooligans, Submitted. 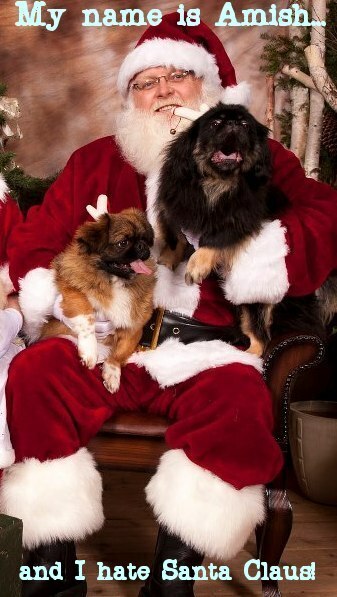 Posted December 14th, 2012 by & filed under Adoptable Fridays, Double Trouble, Holiday Hooligans, Submitted. 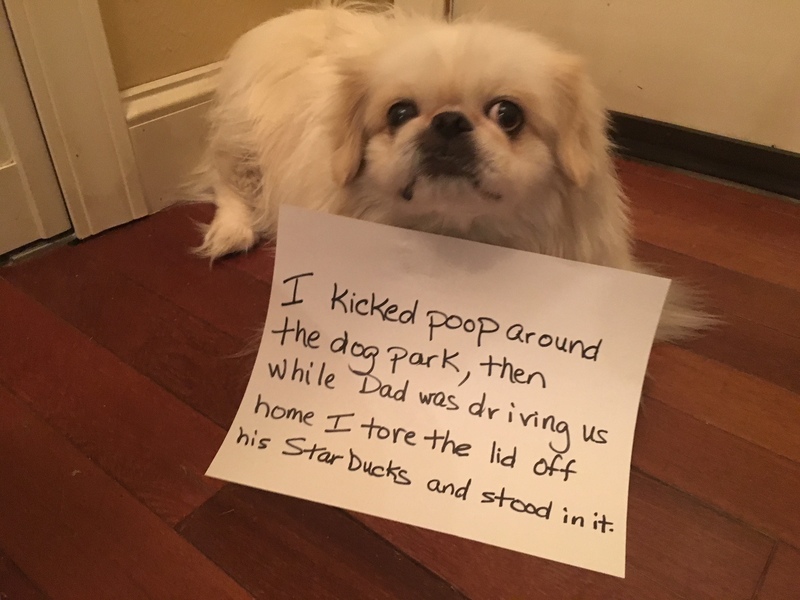 Watson is an 8 pound, fawn and white parti colored, 7 year old, male Pekingese presently living in a foster home in Minneapolis MN. He’s being fostered through PNC Midwest Rescue. Watson has some nerve damage to his back legs and will need to have a home with no steps or someone willing to help him out a bit. He loves snuggling on the couch and being carried around! 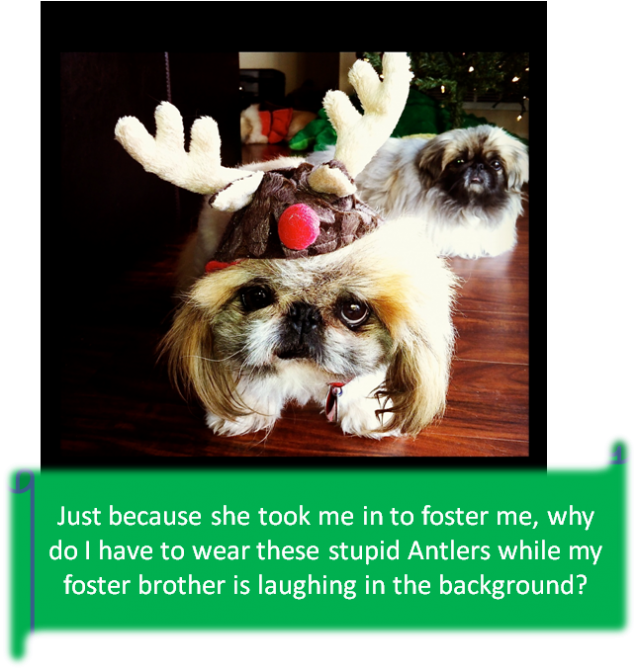 My foster mom thinks that this is cute and thinks it will help get me adopted, I just want to chew my antlers off with shame, notice my foster brother Marvin in the background happy that I am here to distract his fur-mom from dressing him up! 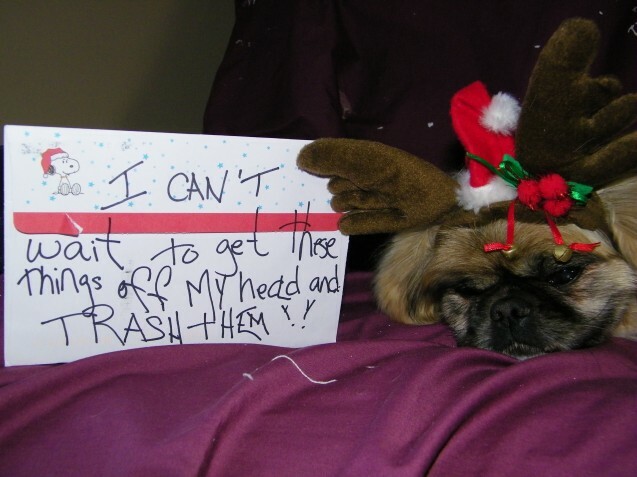 Posted December 14th, 2012 by & filed under Adoptable Fridays, Holiday Hooligans, Submitted. Frankie is tired of her foster mom Cheryl making her dress up in silly outfits! She is currently being fostered through PNC Midwest Rescue and is presently living in a foster home in Cottage Grove MN. 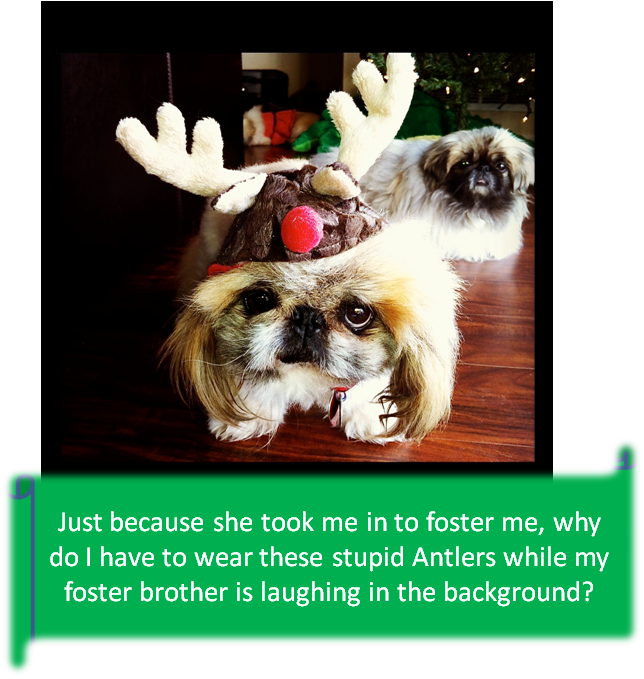 She’s a 13 pound, light fawn, 6 year old, female Pekingese, Frankie is such a love! Frankie would do best as an only dog or a submissive dog that will just give her her space. She loves attention, going for walks and hanging out on the couch. She “sings” when she isn’t getting enough attention and loves dinner time! For Christmas Frankie would like a fur-ever family so that she is not shamed in this way! Here is her profile.